Last week our pastor was challenging us to learn from the Israelites’ spiritual amnesia. What a tragedy it was that the same generation that walked through the sea on dry land lost their faith and was prevented from entering the Promised Land. It’s easy to judge their foolishness. They had seen extraordinary deliverance, and yet, as the years passed, they forgot. I was challenged as I realised how true this is in my own life. In fact, the parting of the red sea was only a precursor to a far greater deliverance that was to come. Thousands of years later, God in the flesh hung on a cross, and as he uttered those final words ‘It is finished,’ the curtain in the temple was supernaturally torn in two. This curtain had long divided the people from the God who was their deliverance. Then, suddenly, without warning, the curtain was parted, so that anyone who desired to know God, could enter, covered by the blood of Jesus’ sacrifice. I first walked through that proverbial curtain as a child, just as many of the Israelites walked through the red sea as children. And just like them, how many times have I forgotten since, what miracle God performed in my life? Too often I approach my creator with such flippancy that it is clear I have forgotten how divided I once was from Him, and how graciously he has made the way for me. 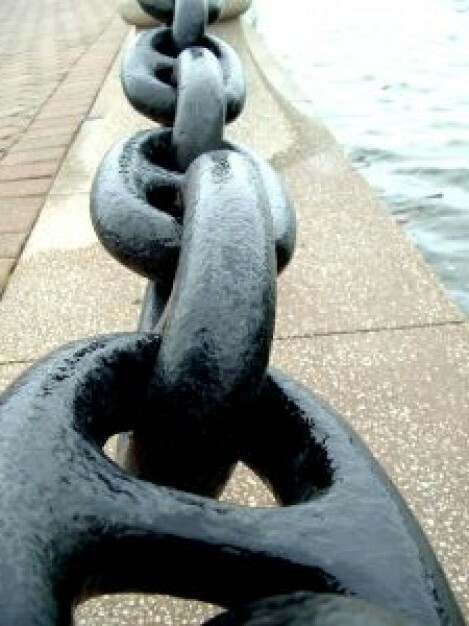 I love the metaphor of Jesus as an anchor. Sometimes I can almost physically feel it. On days when it seems as though the world is falling down around me, I remember Him as my anchor and I feel a certain strength through my core; a grounding in my feet. One of the lines of the song says ‘My anchor holds within the veil.’ Had it not been explained to me, I don’t think I would have grasped the significance of the lyric. In Jewish history, before the time of Christ, a veil separated the Holy of Holies (the dwelling place of God) from the rest of the temple. Only the high priest was allowed to go there to sprinkle the blood of atonement on behalf of the people. Jesus is our anchor, holding fast our access beyond the veil. He gives us a constant, grounded connection to that most holy place. He is an anchor that cannot be moved. He is our security that we, when faced with a Holy God, will stand.